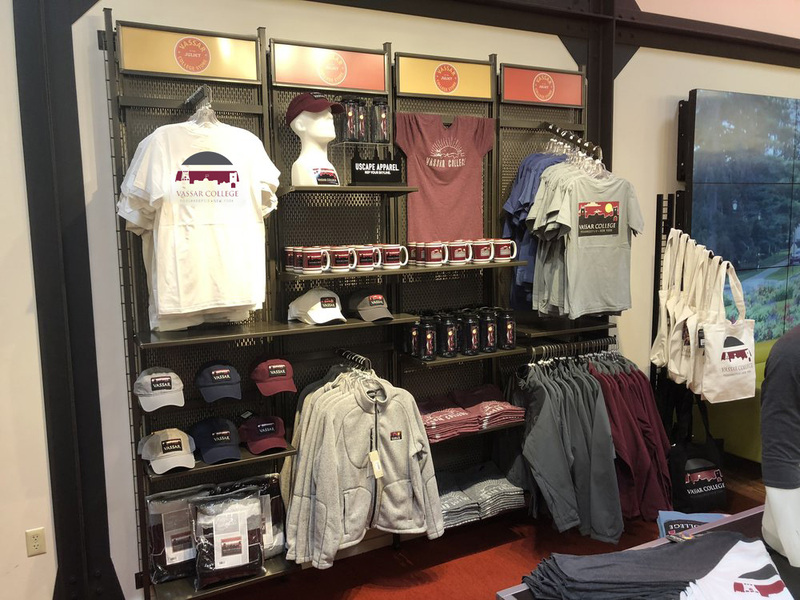 The Vassar College Store Knows...Merchandising Matters! A good display is the key to strong sell-through. We sat down with one of the best merchandisers in the business, Steve Glasgow, store manager at the Vassar Store, to get his recommendations on the best way to display the Uscape line. "The product that we select for our stores deserves special attention. Once it's set up, you can revisit the same area to keep it fresh, maybe you can unfold and then hang these items and vice versa, use shelving and risers to accent a product. Make sure to use all of the materials that Uscape provides you to help sell the products. Using a Uscape sign or poster can really make your presentation pop." "We all have a huge to-do list every day but carving out a block of time to merchandise your product so that it's perceived as special and unique will reward you ten fold with increased sales and sell through." Thanks for the kind words and great advice Steve! We're proud to work with stores like Vassar to help students, fans, and alumni rep their skylines. Did you know that we send POP signage & mannequins free of charge? Reach out to us HERE! Have a custom display you want help with? Let’s talk! Don't forget, we give out $500 of credits each quarter to customers with great displays! Send us your photos to be entered in our next contest.